Here at Dawkes, we are lucky to say that our business thrives on the strength of not only our friendly sales team but also our technically qualified repairers in our onsite workshop. 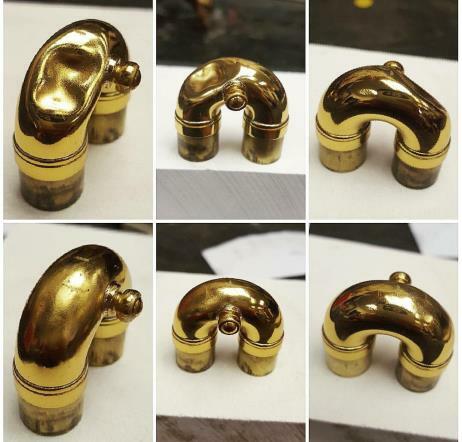 We employ more qualified brass and woodwind repairers than any business in the UK, and are proud of our legacy built by Jack Dawkes back in the 1960’s from a shed in his back garden. Since you don’t always see the weird and wonderful things that come our way, we thought you might like to take a glance at some of the more unusual jobs that we take on, with photos taken by our workshop manager Abi Taylor. 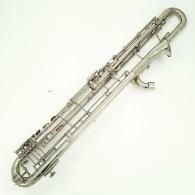 Yes, that’s right; this is a clarinet. 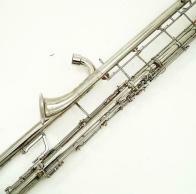 Our repairers were fortunate enough to work on this Leblanc fully silver-plated contra-bass! 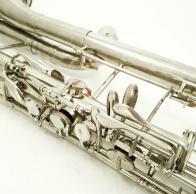 Designed in the 1950’s, these vintage clarinets have a truly unique character and mellow tone. This ‘paperclip style’ (due to its so-called shape) contra needed a spruce up but also a bell extension fitted, which our team skilfully made. 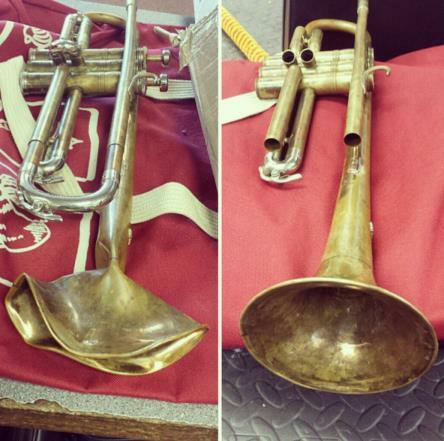 If you need a repair done to your instrument, give us a call on 01628 630 800 to have a chat with one of our repair team. No appointment is needed for minor repairs, and bigger ones need an assessment before being booked into our diary.